From Saturday 30th September to Monday 2nd October 2017. Gerald Moore is a true Auburn local, having lived in the district all his life. He was born in 1933 in the Auburn Hospital and grew up on a farm east of Auburn with his brother, Tom. His mother, Blanche was a talented painter of still-life and it was under her tutelage that Gerald first began to draw and paint. He can remember his artworks decorating the walls of the Auburn Primary School with pictures copied form the Solvol Bird Book. Gerald attributes this event to the start of his career with pastels. From high school age, he began entering pictures in the Clare Art Show, winning prizes and later judging, continuing this relationship right through adulthood. 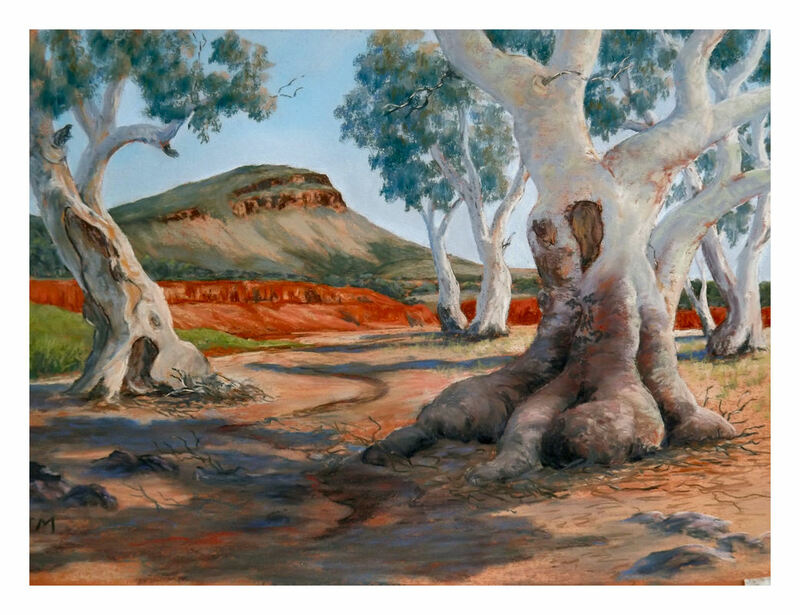 Gerald has been a member of the Clare Art Group, Adelaide Art Society and Burra Art Group, where he formed working relationships with prominent artists such as Lyn Day, David Dryden, Garry Lee-Gaston and Arthur Phillips. 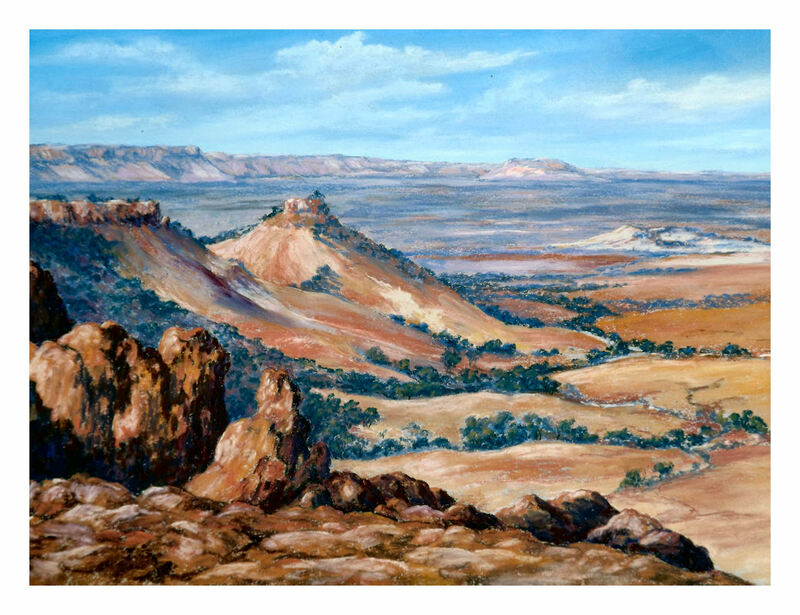 He has enjoyed many field trips with these groups and painted much of South Australia's spectacular scenery. A unique album of bird drawings done whilst attending Auburn Primary School can be viewed at the exhibition. During the 1980s, Gerald worked as a tutor at the Clare College of TAFE and in recent years, he has enjoyed being a volunteer tutor with the University of the Third Age in Auburn. This enthusiastic group continued to meet each week even during periods when Gerald was ill in hospital in the past year. He is looking forward to rejoining the class and hopes to be back at his easel again soon. Gerald has been a pivotal member of the Auburn St John's Anglican Church and after retiring from farming, he was ordained as an Anglican priest - despite being in his 70s at this time! Gerald is a man of many interests, from farming to the environment, tennis and bowls, singing and sermons, pastels and paint. 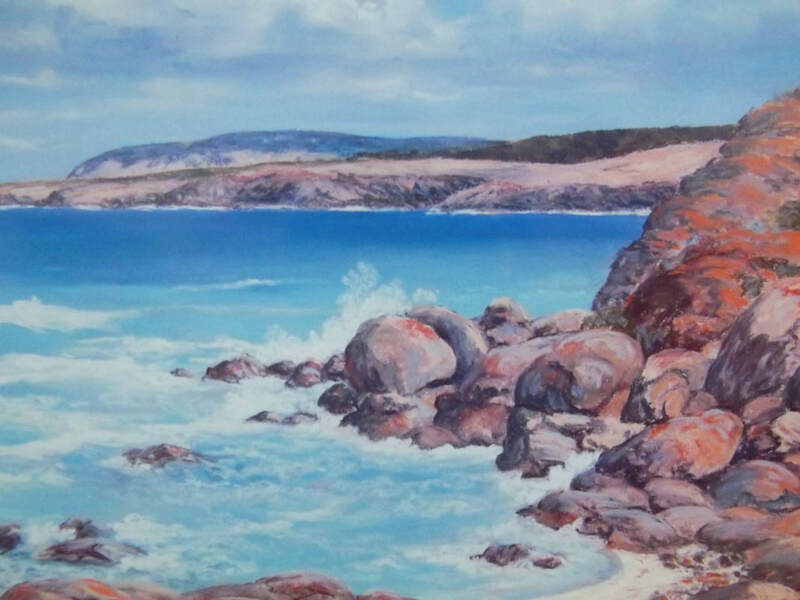 This exhibition is a celebration of a life-time of painting for a local artist who is well-respected for his painting skills and service to the community.